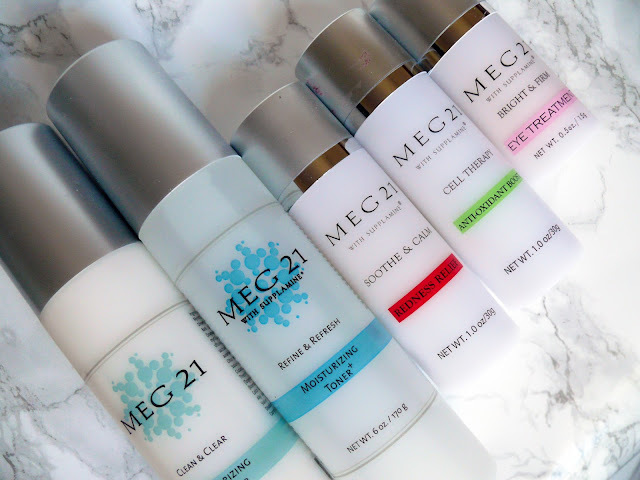 Over the last month I have loved testing out this range of products from the new skin care brand Meg 21. This brand has just launched in the UK on Amazon and over this past month I completely switched my skincare routine out for these products to see what they can do. Now this brand has literally created the most futuristic, advanced products in skin care. The science and studies behind them are amazing and I have never heard of any other products like these so let me tell you a bit about the science behind them. So studies have shown that the enzyme F3K, which furthers the production of toxic sugars in the skin, is linked to the effects of ageing. What these products have is a compound, Supplamine, which limits in the production and availability of toxic sugars, meaning that ageing in the skin is prevented. These products therefore prevent and reverse aging and wrinkling. They also stop glycation occurring in the skin, which is the process by which sugar molecules attach to proteins and lipids which is shown in many age related diseases. They also prevent inﬂammation and oxidative stress from occurring in the skin too, as well as boosting collagen production and removing toxic sugars. Finally, they even help to even out skin tone. So these are definitely unlike any other products on the market, hence why I was so excited to try them! This season is literally the best time for these to be launching in the UK as everyones sugar consumption is probably 10x higher than at any other time during the year. All of these will help prevent all of that sugar from affecting your skin which is genuinely amazing. Also the packaging is so nice and keeps the product fresh by preventing any air or bacteria from getting to it. This next product possibly been my favourite, it is the Eye Treatment. Even though I'm 19, when I am spending endless hours studying in the library in the cold winter here in Scotland, my skin dries out and I get lines under my eyes, which I really hate and try to prevent. This product is so hydrating and, as well as preventing the lines, literally removes them. It also reduces puffiness and dark circles, plus its cute and small to carry around with you! It contains shea butter and vitamins A, E, K and essential B vitamins for healing. Finally, I have been trying out the Moisturising Cleanser and Toner. The cleanser is amazing at cleaning your face and pores without drying out your skin whatsoever. The toner also reduces any irritation and acts as a base for your skin to absorb the rest of the products. It is also filled with amino acids, jojoba oil, vitamin E, aloe, shea butter and green tea. It comes in a really hand spray bottle and is so refreshing, I love to spray it over my face during the day too as it cools my skin and does not affect my makeup. Both of these are also filled with anti-oxidants to promote cell reparation. Let me know what you think of these and whether you'll be trying them! I have never heard of these, but it looks like something I want to give a try after reading this review, thanks for sharing! Seems like a wonderful products, love the look. 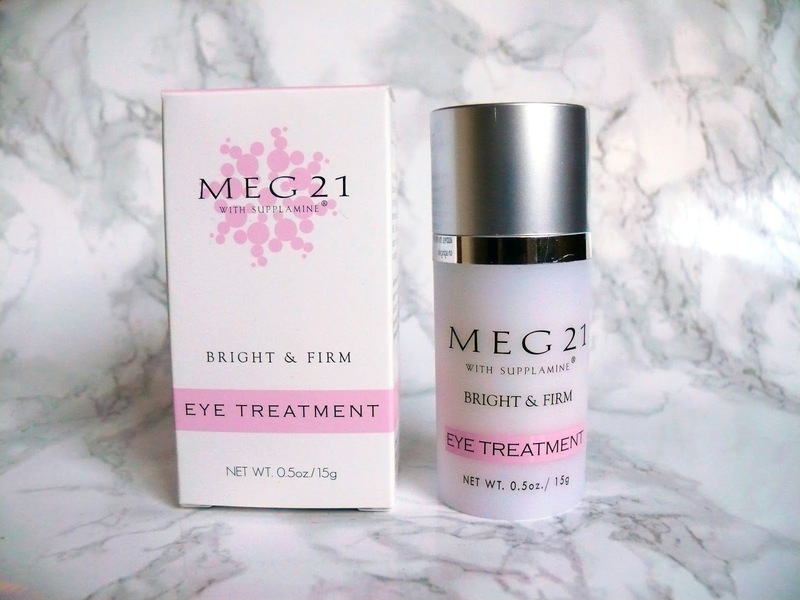 Anti-Oxidant Boost & Eye Treatment have definitely caught my eye. They sound amazing!! It's definitely never too late or too early to start looking after your skin. 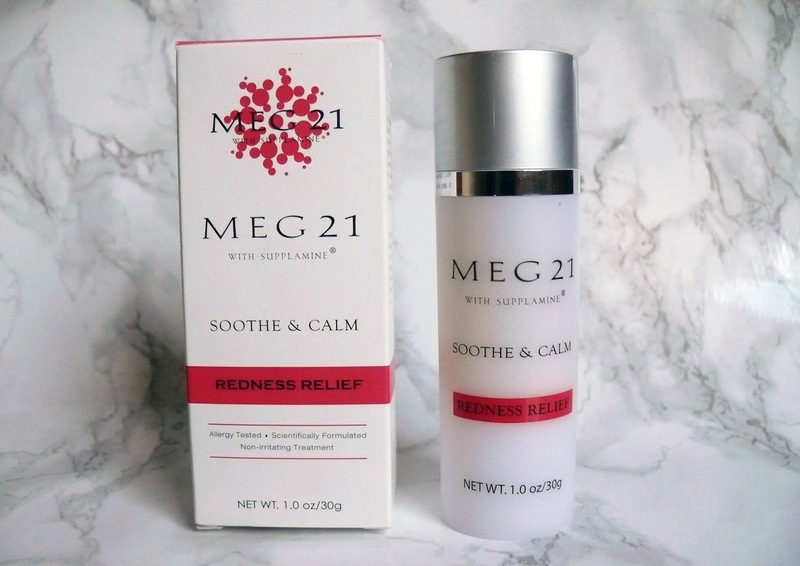 I've never heard of this brand but will make sure to have a browse & check out these products in detail :) Thanks for your recommendations, lovely. Thank you for your lovely review! Is this company british or where from? I wonder what is available via the states? Never heard of this brand before I might look into them as I need some new products! I have never heard of these products so I will check them out! thank you for sharing! I haven't heard of this brand before, but it sounds like they have some awesome, quality products! 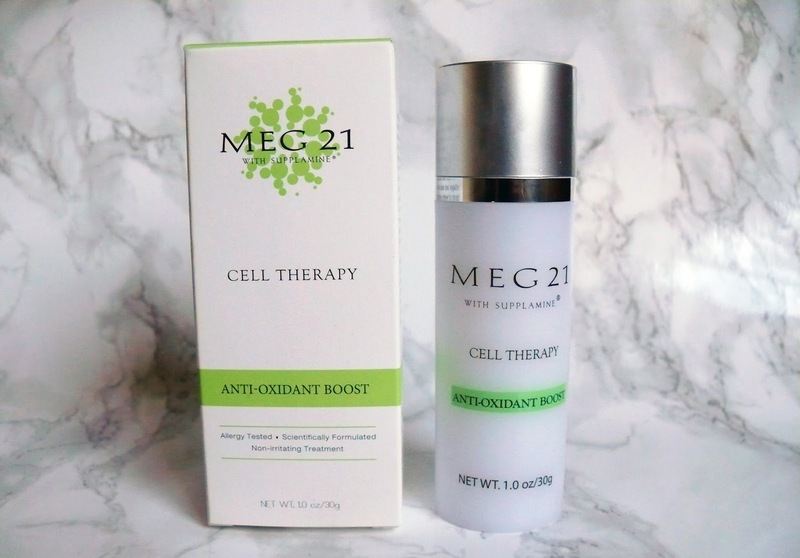 That anti-oxidant boost sounds perfect for the winter, and I'm always on the lookout for great eye products. I'll have to check these out! Sounds like an interesting brand, love the packaging too!